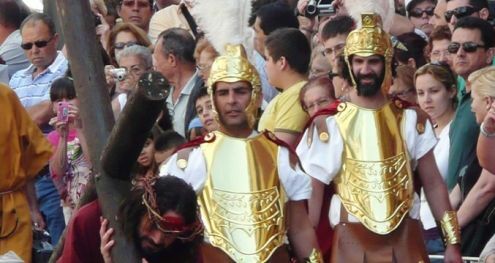 Unusual 13 Tenerife Fiestas fun festivals not to miss. 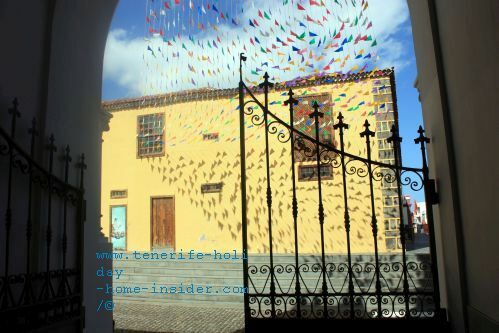 Unusual Tenerife Fiestas include rare day or night festivals off the beaten track. There are some for every taste at almost every day of the year, while the private holiday home is now rather widely spread on the island. 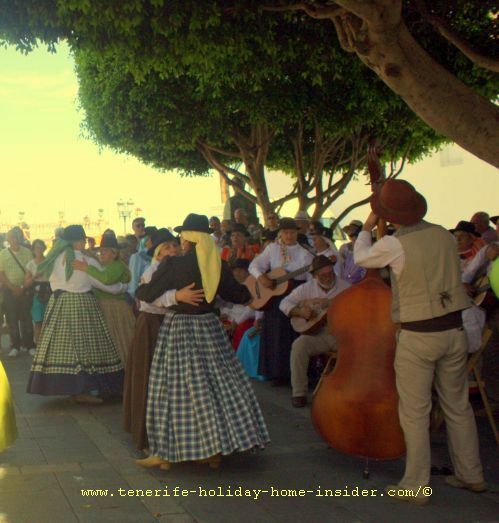 What makes Fiestas special on the biggest Canary Island? Ancient religious cults often merge with contemporary entertainment. An example is in the extraordinary photo below. Tenerife Fiestas with a dicey embarkment in July on Dia del Carmen when air and water almost explode with emotions and excitement. Surprising Fiesta San Juan with festive goat bathing in salty ocean water where bugs struggle to survive. This happens on June 24 when goats are pulled by their Sunday necklaces to be dipped in the sea with fowls and horses. Sardine funeral may add bizarre Guimar witches or Burras to burn on the pyre. Tenerife carnival in general won't be listed this time, but a burial of Sardine whose different ways are little known. San Andres witches who hunt and their remarkable cult celebrations at Teresitas are other little known bizare ways of partying. You will certainly have heard about the three Holy kings of Spanish Christmas. However, you will be surprised about its Puerto Cruz street parade of utter fantasy and charm. Notable Noches Blancos Fiestas of full moons with more than Marathons under stars and nightlife for dogs in the park. Exceptional Fiestas de Mayo Realejos of Cruzes hence Crosses with many sports events followed by extraordinary fireworks sponsored by two lower and upper class streets. Surprising San Isidro Realejos Romeria with invigorating Tenerife folk dance festival fun. There is atypical, muddy excitement of extreme sports in Puerto de la Cruz during Fiestas de Julio of July. In fact, adventure as well as endurance sports also feature high on the island's agenda during its noteworthy street party weeks of Fiestas all along the year. Not so much into action with Tenerife fiestas? Then you shall love the exceptional Puerto de la Cruz art festival in the street where others act for you for three days. What about the particular Fiesta de San Antonio Abad in La Matanza de Acentejo? The region's parish priest Father Luis must not only bless cattle and other live stock and show up in neighboring Tacoronte. People bring him their dogs and cats, too which is unprecedented in Tenerife. Also, some of the events there are much out of the way while the principal street party is on top of a long, steep hill. No parking there, you know... This is prime country of Guachinches and Bodegas that suddenly come alive during the events and draw more crowds. Video of livestock competitions organized by La Matanza de Acentejo during its festivity of San Antonio Abad early in the year.